This website (“Site”) is provided by Normerica Inc. (“Normerica”, “we”, and/or “us”) as a service to our customers (“you”). Please read the following terms and conditions of use ("Terms and Conditions of Use") carefully before using this website. Normerica provides you access to this Site subject to these Terms and Conditions of Use. Please note that your use of this Site constitutes your unconditional agreement to follow and be bound by the Terms and Conditions of Use (the “Agreement”). Normerica reserves the right, in its sole discretion, to modify, alter or otherwise update these Terms and Conditions of Use at any time without prior notice and you agree to be bound by such modifications, alterations or updates.By using this Site, you represent that you are of the age of majority in your jurisdiction. If you are not of the age of majority, you must only use this Site under the supervision of your parent or legal guardian who agrees to the Agreement. If you are a parent or legal guardian agreeing to the Agreement, you must monitor and supervise the use of this Site by the minor and you are fully responsible for the minor’s use of this Site, including all legal liability that he or she may incur. ‍IF YOU DO NOT AGREE WITH THE TERMS AND CONDITIONS OF THE AGREEMENT, YOU MAY NOT USE THIS SITE. ‍Unless otherwise noted, all materials, including images, text, illustrations, designs, audio clips, downloads, icons, photographs, programs, video clips and written and other materials that are part of this Site (collectively the “Contents”) are subject to intellectual property rights, including without in any way limiting the generality of the foregoing, copyright and trademarks, owned by or licensed to Normerica or one of its affiliates or subsidiaries, and are protected by Canadian, U.S., and international copyright laws. 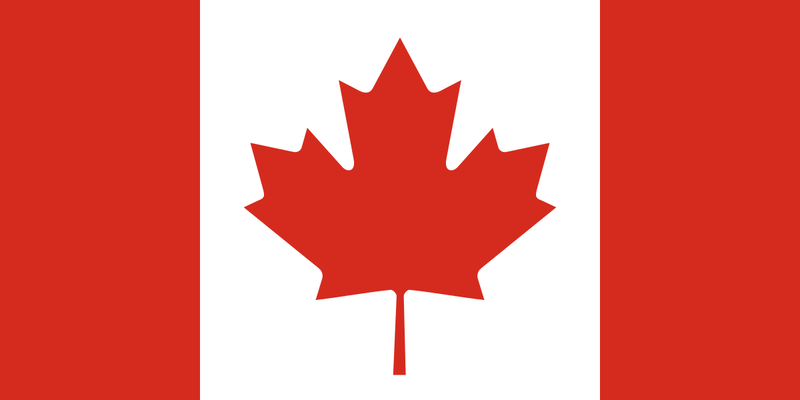 The compilation (meaning the collection, arrangement, and assembly) of all content on this Site is the exclusive property of Normerica and is also protected by Canadian, U.S. and international copyright laws. The Contents from this Site may not be copied, reproduced, republished, uploaded, posted, transmitted or distributed in any way. Modification of the Contents or use of the Contents for any purpose is a violation of the copyright and other proprietary rights. You may not reproduce, copy, publish, transmit distribute, display, modify, post, download, create derivative works from, sell or participate in any sale of or exploit in any way, in whole or in part, any of the Contents, this Site or any related software in any form or by any means. Any other use, including the reproduction, modification, distribution, transmission, republication, display or performance of the Contents on this Site is strictly prohibited. ‍References on this Site to any names, marks, products or services of third parties or hypertext links to third party sites or information are provided solely as a convenience to you and do not in any way constitute or imply Normerica’s endorsement, sponsorship or recommendation of the third party, information, product or service. Normerica is not responsible for the contents of any third party sites and does not make any representations regarding the contents or accuracy of materials on such sites. If you decide to link to any such third party websites, you do so entirely at your own risk. Your use of such third party websites is subject to the terms and conditions of use and the privacy policies of such websites. ‍THE MATERIALS ON THIS SITE ARE PROVIDED ON A "AS IS" AND “AS AVAILABLE” BASIS. NORMERICA MAKES NO REPRESENTATIONS OR WARRANTIES, AND PROVIDES NO CONDITIONS OF ANY KIND, WHETHER LEGAL, EXPRESS OR IMPLIED, AS TO THE OPERATION OF THE SITE OR THE INFORMATION, CONTENT, MATERIALS, OR PRODUCTS INCLUDED ON THIS SITE OR SERVICES PROVIDED THROUGH THIS SITE. TO THE FULLEST EXTENT PERMISSIBLE BY APPLICABLE LAW, NORMERICA DISCLAIMS ALL WARRANTIES AND CONDITIONS OF ANY KIND, WHETHER LEGAL, EXPRESS OR IMPLIED (INCLUDING WARRANTIES AND CONDITIONS OF MERCHANTABILTIY, MERCHANTABLE QUALITY, QUALITY OR FITNESS FOR A PARTICULAR PURPOSE AND NON-INFRINGEMENT) RELATING TO THIS SITE OR ANY CONTENT. WITHOUT LIMITING THE GENERALITY OF THE FOREGOING, NORMERICA DISCLAIMS ANY AND ALL WARRANTIES AND CONDITIONS, LEGAL, EXPRESS OR IMPLIED, FOR ANY MERCHANDISE DISPLAYED ON THIS SITE AND THAT THIS SITE WILL BE ERROR-FREE, CURRENT, UNINTERRUPTED, ACCURATE, AVAILABLE, RELIABLE, SECURE OR COMPLETE. YOU ACKNOWLEDGE, BY YOUR USE OF THIS SITE, THAT YOUR USE OF THIS SITE IS AT YOUR SOLE RISK. THIS DISCLAIMER CONSTITUTES AN ESSENTIAL PART OF THIS AGREEMENT. ‍Under no circumstances and under no legal or equitable theory, whether in tort, contract, strict liability or otherwise, shall Normerica and its affiliates and their respective employees, directors, officers, agents, vendors, licensors or suppliers be liable to you or to any other person for any direct, indirect, special, incidental, punitive or consequential losses or damages of any nature, including, without limitation, damages for lost profits, loss of goodwill, loss of data, loss of use, work stoppage, accuracy of results or computer failure or malfunction, arising out of or in connection with this Site, including, without limitation, (1) the use of or inability to use this Site; (2) any contents or materials downloaded from this Site, and any links provided on this Site; (3) any inaccuracy, error or omission in relation with the tips, advice, guides and other information contained on this Site or in relation with any delay in their transmission or delivery; (4) any transaction conducted on this Site; and (5) any unauthorized access to or alteration of your data, even if an authorized representative of Normerica has been advised of or should have known of the possibility of such damages. ‍Any notes, postings, ideas, suggestions, concepts or other material submitted will become the property of Normerica throughout the world and Normerica shall be entitled to use the material for any type of use forever including in any media whether now known or hereafter devised. When you submit material to the Site, you agree that Normerica has the right to publish the material for any type of use as outlined above including promotional and advertising purposes (save for personal information submitted in application for employment with Normerica). ‍This Site may from time to time contain information relating to various medical, health and fitness conditions of pets and their treatment. This is for informational purposes only and is not meant to be a substitute for the advice provided by your own veterinarian or other medical professional. You should not use the information contained herein for diagnosing a pet's health or fitness problem or disease. You should always consult your own veterinarian and medical advisors.Any postings of recipes, health, nutritional, wellness, tips, instructions and other information and resources on this Site are for your general information only. Because various aspects of products and services can change at any time, you should always be sure to read and follow the labels and instructions that accompany any products or services you use or purchase which are found on this Site. No health, nutritional, wellness information is intended to substitute for the diagnosis, treatment and advice of a veterinarian and/or other medical advisors. This information does not cover all possible uses, precautions, side effects and interactions and should not be construed to indicate that any product or service is safe. You should carefully read all the information provided on or in the product packaging and labels and consult a veterinarian or medical advisor for advice before using the product or service. ‍You agree to defend, indemnify and hold Normerica harmless from and against any and all loss, actions, claims, damages, costs and expenses, including legal fees and disbursements on a full indemnity basis, arising from or related to your use of this Site or any breach of this Agreement.